With the slackening of restraints in communist Poland through the 1970s and 1980s, discussion became possible, and in the post-communist era, Poland has engaged in a wide-ranging, at times antagonistic debate over the relationships between Jewish and non-Jewish Polish citizens before, during and after the war. The most dramatic flashpoint for debate was historian Jan Gross’s book Neighbours (2001), which described the massacre of the Jews of the small town of Jedwabne by their Polish neighbours in 1941, and fundamentally challenged the Polish memory discourse that saw Poles primarily as co-victims of Nazi crimes or rescuers of Jews. While this difficult discussion has been fruitful in many respects, it has tended to operate along a binary division: between Poles and Jews, between us and them, perpetrator and victim. The more recent trend towards remembering Jewish life in Poland refocuses attention on the more complex reality of Polish-Jewish relations: Poland’s Jews may have been forced into ghettos under the Nazi occupation, but the preceding centuries had been as much about intermingling and contact as they had been about conflict and division. Awareness of this intricate history is not confined to the walls of museums. A recent study by the sociologist Katka Reszke, tellingly titled The Return of the Jew (2012), has shown that, for some Poles, these entanglements occur at the most intimate level. 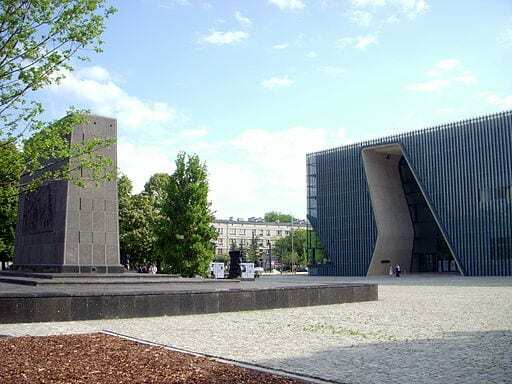 A recent trend has seen a significant number of young Poles rediscover their Jewish roots and attempt to re-connect with a Jewish identity that had been hidden by their families for one or two generations. The predicament of these young people is complex: on the one hand, recovering a lost identity is difficult, takes significant effort, and entails encountering hostility both from anti-Semites and from other Jews sceptical about the authenticity of this recovery of identity. In many ways, as Reszke admits, this is a new, rather than returning phenomenon: yet it is also drawn from very real, though frustratingly elusive, traces of Jewishness. The entanglements of Polishness and Jewishness have surfaced also in recent Polish culture. 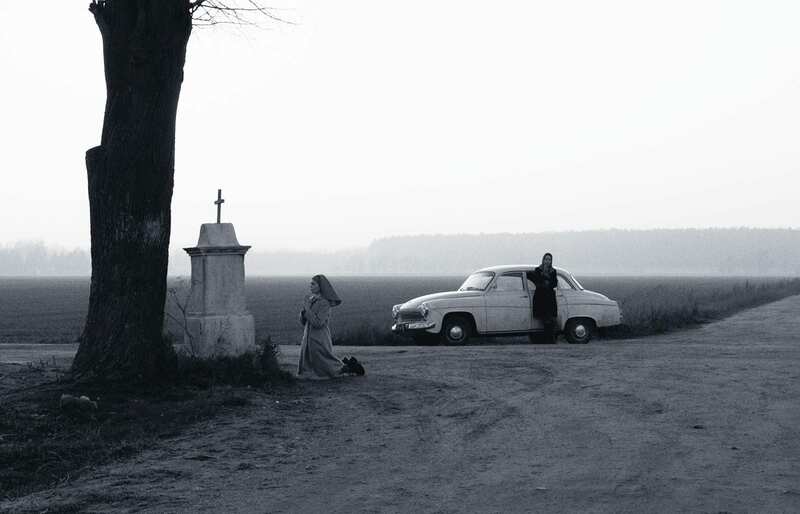 One of the most critically acclaimed Polish films of recent years, Paweł Pawlikowski’s Ida (2013), tells the story of a novice nun, who, before taking her vows, is sent to visit her only remaining relative, her aunt Wanda, whom she has never previously met. The woman turns out to be a successful member of the communist establishment (a public prosecutor and, by her own admission, a harsh one), and a Jew. She reveals that Ida herself is Jewish, and that her parents were killed during the German occupation. The film traces the two women’s journey to Ida’s birthplace, and to the discovery that her parents had been killed by a local Pole whose family had initially hidden them, and who now lives in the her family’s old house. In contrast to its generally positive reception abroad, in Poland the film has divided opinion. In the main, reviews have been positive, but a significant number of voices from both the political left and right have been critical, whether for the perpetuating of the stereotype of the Jew-murdering Polish peasant, or that of the fanatical communist (and Pole-hating) Jew. In its highly aestheticized depiction of 1960s Poland and overt use of Catholic imagery, it has also been seen as providing a prettified, artificial sense of closure to the can of worms that Jan Gross opened over a decade ago: classic Catholic redemption in place of contemplation of a Jewish tragedy. Pawlikowski does present striking black and white images, both literally and metaphorically. But with each such image he is quick to adjust the lighting and reveal a range of greys. The killer of the girl’s family appears as a brutish, inarticulate man, but in one of the film’s most powerful scenes, as he stands up to his head in a grave he is digging himself, exhuming the bones of the girl’s parents, he admits the truth about their death, and we see him torn by remorse. We are made aware here of the terrible nature of the choices that were made by those hiding Jews and thus living in fear of their own families’ safety, and the ways in which the roles of rescuer, exploiter and betrayer of Jews could overlap in complex ways (something that is also explored in Agnieszka Holland’s In Darkness (2011)). Wanda’s hard, caustic exterior is also shattered when we learn the story of her own loss, of her small child, during the Holocaust: indeed, far from being a vilified stereotype, Wanda is the most tragically sympathetic character in the film, and provokes important and difficult questions regarding the complex situation of Jews trying to find their feet in post-Holocaust Poland. Finally there is Ida herself. Nothing could be more Polish than the image that opens the film, of four young nuns carrying a statue of Jesus across a snowy courtyard in a village monastery. Yet one of those nuns, one of the pillars holding up the symbol of Catholic Poland, is a Jew. Here black becomes white, and white black, estranging familiar images and disorientating the viewer. Pawlikowski’s non-committal, ambiguous approach can work for and against his film, depending on what the viewer is looking for: on the one hand, it forces the viewer to actively confront and engage with the complexities raised, to try and fill in the gaps that the film’s silences leave; yet, as critics have noted, it also leaves these complexities somehow unexplored, and the pressing moral questions they entail frustratingly unanswered. At the film’s close, Ida returns to her convent. After trying out secular life (symbolically, trying on her aunt’s clothes and shoes), she seems to have chosen to return to the only life she really knows. It is possible to see Ida’s remerging with this landscape as a comforting portrayal of the natural absorption of the problematic Jewish element into a more Polish post-war Poland, the ironing-out of a troubling crease. And yet at the same time it is clear that Ida does not reject her Jewishness. She confronts it, and recovers it by visiting her parents’ house and burial place. She is visibly changed by the experience, perhaps less certain of her dedication to her adopted religion. She may well submerge herself in the convent world, but it is clear that she will also remain in some way Jewish, even though, like those interviewed in Reszke’s study, her knowledge of her Jewishness is indirect, merely a ‘second-hand’ trace. The ambiguity that is woven into Pawlikowski’s film is characteristic of Poland more widely: here is a country with only a handful of Jews left after the Holocaust, where many people will never even meet a Jew, yet which retains something powerfully, though elusively, Jewish. The somewhat dry phrase ‘Polish-Jewish relations’ is hardly adequate to describe a dynamic that cannot be reduced to the relationship between neighbours across a fence (or ghetto wall), between two sides of a conflict, or between the mourner in the present and the deceased consigned to the past. This dynamic is captured better by entangled and paradoxical images, such as that of a Jewish nun carrying an image of Christ, the Jewish student who fell fighting for Poland’s independence, or indeed the Polin museum’s celebration of Polish-Jewish life and interaction in a space marked so heavily by death and separation. Uilleam Blacker is Lecturer in Comparative East European Culture at UCL-SSEES. His research focuses on the intersections of cultural memory and urban space in Poland, Russia and Ukraine.